The beginning of April is the most exciting part of the year for most baseball fans. Everyone has the same record and no matter how bad your team looks on paper, there’s always the chance, hope and dream of a World Series victory. 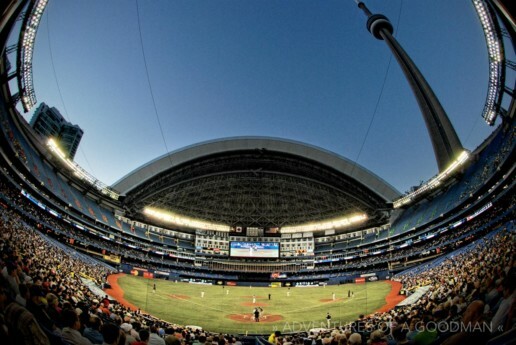 This photograph was taken at the tail end of the Toronto Blue Jays’ 2008 season. While visiting Toronto, I walked up to the box office about 45 minutes before the game started and asked for the best good, but not too expensive, tickets they had. “Um, yes! Two please,” I quickly replied, thinking it was some kind of a joke. Nope, tickets are just far cheaper outside of New York City where I love watching my beloved Mets play.